I beat Birthright within a week of picking up Fire Emblem Fates and I loved it! 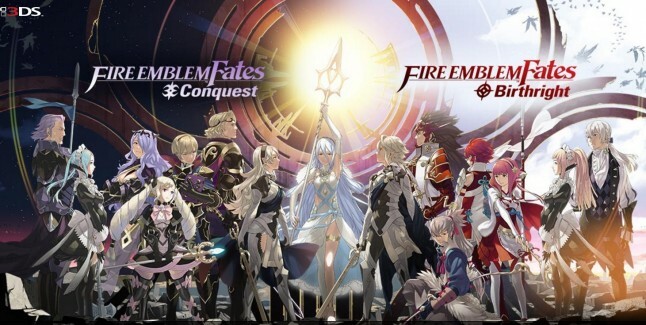 Fire Emblem Fates sees you taking on the role of Corrin, a prince or princess (you choose) who was raised by the Nohr royal family but then soon finds out that they were a member of the Hosido royal family that had been captured at a very young age. If you're unaware of the Fates situation, basically there are three campaigns but you don't buy them all together. You purchase one version of the game and get that as your first campaign. This is either Birthright (which I picked) or Conquest. Birthright sees you siding with Hosido the family of your birth while Conquest will keep you with the family that raised you. Once you beat that campaign you get the choice to purchase either of the other two campaigns at half price and download them directly into your existing game. The third campaign, Revelations, is a middle path that ties both of the other two together. All of the campaigns start the same way and have the same first six chapters. After that point you have to make a decision that will determine the rest of your path. Each campaign has a few characters that show up in all campaigns, but for the most part it's full of it's own cast. And each one has a totally different story. It's amazing that there's 20+ unique chapters for each path. It's basically like they've made three Fire Emblem games worth of content and created a way to wrap them all into the same package. The turn based strategy battles are similar to previous Fire Emblem games. You control a group of characters as they move around a battlefield and try to complete an objective or defeat the other force. Some weapons and classes are more powerful against others and the whole battle system has an underlying rock, paper, scissors mechanic to the weapons. The battles are fun but I had the most fun with the characters. Each character grows relationships with other characters when they fight together on the battlefield. The more characters are near each other while doing actions in battle the more their relationship grows. If you can get two characters to reach max relationship level they get married and through a magical story constraint they will instantly have a child that is old enough to join you in battle. I can't tell you how much joy this has bought me! I love forging these relationships and seeing the children that result. I also think a lot of the relationship dialogue between the characters is more interesting than the main story of the game. Not that the main story is bad, it's just that I love getting into the personal lives of these characters and getting to know them. The Birthright campaign overall is fairly straightforward. The "evil" Nohr empire is trying to invade and conquer your Hosido kingdom. You fight back with the help of other members of the Hosido family and end up taking the fight all the way to the Nohr king. It's a classic evil empire story but serves it's purpose well enough. I actually picked this one first because I've heard the other two campaigns have a lot more depth and nuance to them and I thought I'd use this one as a baseline. Overall I'm loving Fire Emblem Fates. I liked it enough that as soon as I wrapped up the Birthright campaign I immediately downloaded Conquest to jump into and see the other side of the conflict!